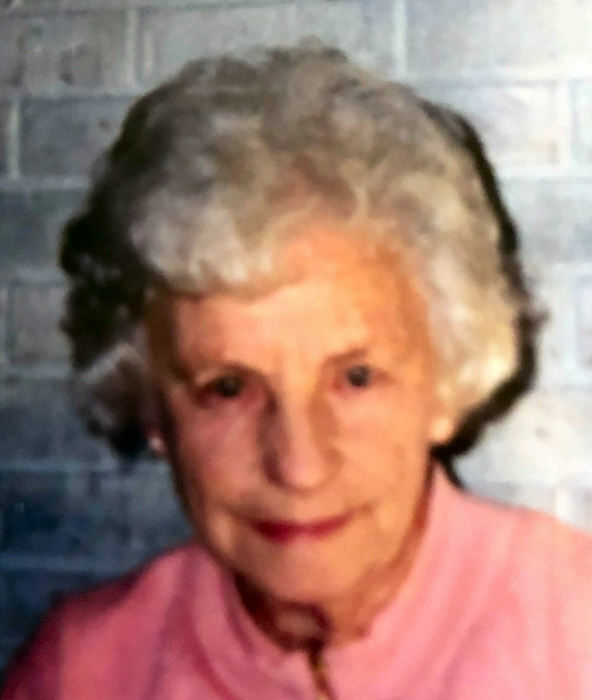 Asheville - Pauline Smith Scroggs, 95, passed away on Sunday, April 7, 2019 at the Elizabeth Hospice House. She was born in Franklin on June 9, 1923 to the late Robert and Fannie Smith. In addition to her parents, she was preceded in death by husbands, Max Muse, who died in 1944 and Dock Scroggs, who died in 1986. Pauline retired from Memorial Mission Hospital after working as a switchboard operator for 20 years. She is survived by one son, Terry Scroggs and wife, Becky, of Orlando, Florida; one daughter, Maxine Muse Rogers and husband, Michael, of Hilton Head, South Carolina; two granddaughters, Michele Rogers Thatcher and Melanie Rogers Bell; four great-grandchildren, Alexis, Brendan, Joshua, and Kylie all of Dallas, Texas; and one brother, Leonard Smith of Naples, Florida. Pauline was a member of West Asheville Baptist Church. A graveside services will be held at 3:00 p.m. on Wednesday, April 10, 2019 at Bon-A-Venture Cemetery on Old Clyde Road with the Reverend Tony W. Hooper officiating. The family will receive friends from 1:30 until 2:30 p.m. prior to the service at Wells Funeral Home of Canton. In lieu of flowers, memorials may be made to the Elizabeth House, 511 S. Allen Road, Flat Rock, NC 28731.